When you have several layers in the Timeline view, you may find it hard to locate which one is selected. 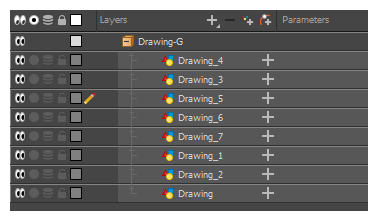 You can use the Centre on Selection feature to display the selected layer in the Timeline view. 1. 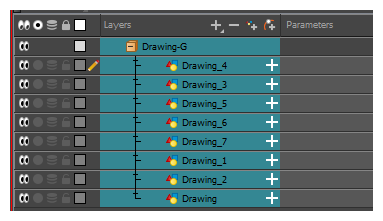 In the Tool Properties view, make sure that the Peg Selection Mode is deselected. ‣ From the Timeline view menu, select View > Centre on Selection or press O. ‣ In the Timeline view toolbar, click the Centre on Selection button. ‣ In the Timeline view, click the layer corresponding to the element you want to reposition. ‣ In the Xsheet view, click the column header corresponding to the element you want to reposition.